The change in media consumption has shifted the power further away from sellers and thrust more into the hands of the buyers. Smart marketers are well aware of this fundamental shift and continue to adapt their strategic marketing plan. For example, one company needed a marketing plan that would establish credibility for a new brand of handcrafted Amish furniture. 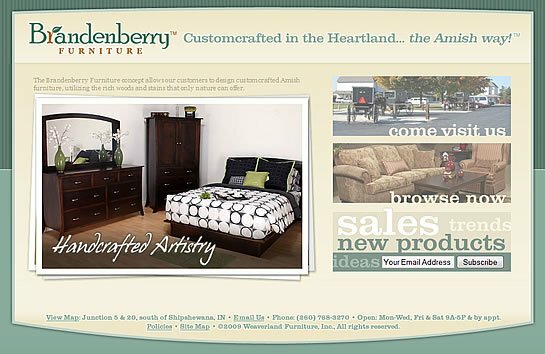 When Brandenberry, an emerging brand, entered the congested market of Amish furniture, they turned to Effect to help them leverage the web. They wanted to drive foot traffic to their bricks-and-mortar store and generate interest in the form of quote requests by showcasing their beautiful handcrafted furniture. We created a new goal-focused website that channeled visitors toward one of three goals. Users could get directions and a map to the store, browse the online catalog to view products and request a quote, or sign up for the e-newsletter. Effect reinforced the new website with a strong SEO strategy to attract qualified visitors through Google. The new website successfully established Brandenberry as a high-end, handcrafted Amish furniture company. Through the user-friendly online catalog, Brandenberry was able to generate interest and buzz which resulted in increased foot traffic at their bricks-and-mortar store, as well as many people requesting quotes online. Louis Gray, an innovative thinker, detailed the 10 Rules for Today’s Consumers in his blog. His insights show us that we cannot just plan a website based on our likes and dislikes. Instead, a web design must cater to the people we hope to engage. Let’s look at how Louis’ 10 Rules apply when planning a website redesign by imagining what your visitors are thinking as they browse your site. We are busy people. It’s a struggle to find time each day and we are constantly bombarded with messages we don’t want. Do us a favor and keep it simple. We don’t read websites. We scan them. Keep content short and to the point. Skip the fluff and we will come back from more. It’s time to stop thinking about websites as something we only view on our computers. We are surfing the net and checking email on our phones and mobile devices as well. Make sure your website can be viewed on mobile devices and across various browsers. Keep our info secure! We read about you on your site, blogs, forums, Facebook, Twitter, and other places. Listen to our opinions and thoughts. By allowing comments you are sending us the message that you care about what we have to say. We are more comfortable with companies that are transparent and you will gain our trust more easily. If you have negative comments or feedback, don’t delete it. That just looks shady. We care more about how you address the negative feedback than the fact that someone says something negative about you. When we take the time to reach out to you, whether it be via a contact form or a message on Twitter, respond. Don’t wait three days before getting back to us. By then, we’ve already moved on. We spend a ton of time on social sites. Are you there? If not, we wonder why. Do you have something to hide? Don’t you want to interact with us? Don’t you care what we have to say? We want to learn the story behind your product or service. Your website is an extension of you. Keep your website up to date with current, relevant info and up-to-date graphics. Websites aren’t meant to last forever. Every year or two you need to overhaul it because things change quickly. If you are going to talk-the-talk, walk-the-walk. Show us that your CEO and other employees are passionate about your product or service. Videos are great for this. Do you claim to be the “leader” in your industry? We are going to make that judgment for ourselves. In this digital marketplace, we evaluate your website, Google rankings, and engagement on social media sites when making that determination. We are SO over greedy companies and corrupt CEO’s. What we love are companies who are interested in helping others. Do you give a part of your proceeds to charity? Do your employees volunteer? If so, we want to hear about it on your website and on social media. It makes us feel good to buy product or services from companies who give back and advance the greater good. We are smart and savvy. 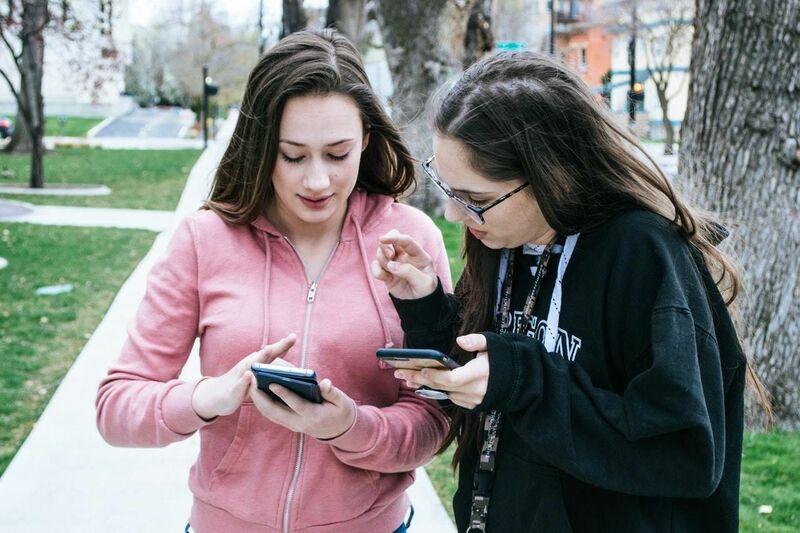 Despite what you may think the majority of us are online. We are looking, searching, learning. We crave info. Before we make a purchase we scope it out online. Provide the info we need, when we want it, and where we want it and you will have us hooked. If your website does not meet these needs, then perhaps it’s time for a redesign or a more strategic marketing plan. 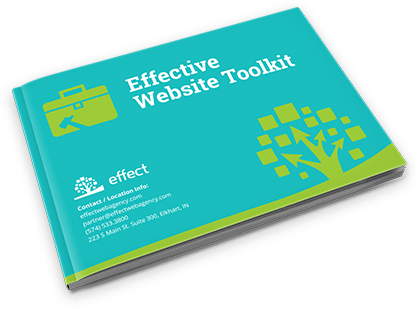 Effect Web Agency builds beautiful websites that perform. Contact Effect for more information on how your website can become a tool for growth.